Miguel and Natalia Lafourcade’s song, Remember Me (Dúo) from Disney Pixar’s Coco is Josh’s Next Big Thing this week! Every week, Josh picks a song to crown as his ‘Next Big Thing‘, a tune he loves and thinks will be massive in the coming weeks. This week he’s gone for a song from the brand new Disney Pixar movie, Coco! It’s called Remember Me and is by Miguel and Natalia Lafourcade! 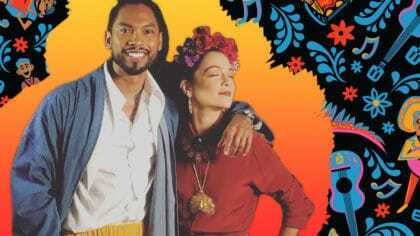 Natalia Lafourcade is singer from Mexico while Miguel is an R&B singer. Hear Remember Me every evening this week from 7pm on Fun Kids! Plus Josh will be counting down the Pop 7 at 7 and playing some of the hottest tunes on the planet right now!